We aim to review at least one new book every weekday. Sometimes more. Sometimes many, many more. 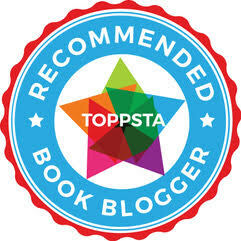 Above all our favourite thing is to populate our blog with new book reviews and news. Each week, starting at 10.00 am on Friday our Book of the Week winners are added to the blog at roughly half hour intervals during the morning. These needn't necessarily be books released that week, but it will almost undoubtedly be books we've read in the nominated week (or leading up to it) that has been massive hits with both of us, and have been read and re-read many many times. By normal booky-folk speak, a "Keeper". We now try to feature at least one picture book title and one chapter book title but will sometimes mix things up with more than one picture book winner. We also feature comics, graphic novels and YA too but will always state when something's not suitable for a younger audience. A few folk have commented that it looks like we "play favourites" with certain authors or book series - or that some books that we rave about aren't actually "Book of the Week" winners yet we won't shut up about them. It's not really so in either case, we aim to be as impartial as possible when selecting winners and if the same folk hit "Book of the Week" again and again, it's because they're just so durned good! It's also fair to say that as C gets older she's getting pickier so there have been a fair few books by authors and artists she's previously loved to bits that haven't made the 'cut'. Likewise, if a regular series always seems to end up as a "Book of the Week" it'll be because the Author / Illustrator of that series isn't just milking the same idea over and over again, they're really excelling at what they do. As to certain books not hitting the "Book of the Week" slot (to this day I still can't understand why "Troll and the Oliver" didn't! ), sometimes it's just such a packed review schedule and there are so many books that excel that we would end up with 10 books of the week rather than our upper limit of 2.